Easy to use, very intuitive UI. Reliable software, cannot recall any system issues in four years as a daily user. Some of the document linking seems really interesting, though we have not explored that too much. Search function sometimes seems a bit weird - often records only show up if you type exact words and it seems to be somewhat inconsistent at returning records. Dislike the inability to manually decrease the size of the preview window in the search tab - window takes up too much space relative to the list of results, especially when operating in a minimized window. We utilize PMAPS to manage content for the RFP process. Primarily we input common questions and corresponding responses into PMAPS and then use this information when completing proposals or client requests (Search Tab). Records are updated as needed. PMAPS expedites RFP/DDQ/RFI completion as it allows writers to pull standard content quickly, giving them more time to devote to non-standard, more complicated questions. "Awesome tool for proposal managers"
Ease of use, simplicity, & layout. We use most/all features have seen improvement with consistency and quality. More intelligence and logic needed. I would like to enter the RFP questionnaire to the database, have it recognize and pre-populate responses, and allow me to answer only what we don't have responses. There should be more automation. Consider using PMAPS for all content managment and not just proposals. We are using this for all content management, templates, questions and answers, and metrics. We understand all things related to present and past RFPs, frequency of us with each Q&A, Centralizing the templates allow for unviversal change and immediate use. "Good Software - Needs more functionality"
I like the ability to search and organize my assignments. There is nothing that I dislike, per se, but I think there is room for improved functionality. For example, in search strategy/product lists should shorten when choose investment center or team, like it does for topic and subtopic. Word Replacement odes should be alphabetized to make it easier to find and insert the one needed. Boolean operators would be helpful to narrow search potential (and, or, not) In the dashboard, specialist should be able to make assignments, not just coordinators. Finally, the whole system needs to be more functional with Excel requests, such as having bookmarks work and be able to relink within them. PMAPS is a great database tool to store and update answers for proposals. It allows us to have a structured and organized way to store and search for answers. "My experience with PMAPS has been wonderful. So happy we chose this software! " The PMAPS database is very simple to use. I love that I can customize my screen by using the filters that I want to see. Its very easy to search once you select the filters. I also love the webinars they hold each month - very helpful! Its difficult that our SMEs do not have access to the database. We are so busy with RFPs we get behind on updating our information, so we still have to refer back to old questionnaires for current product information. I would definitely recommend PMAPS to other companies. Our goal is to have information for other products in our database. We feel having one area to keep all our company information is beneficial to our company. People know to reach out to the proposal team for assistance when they are responding to client requests. The database works a lot like google making it very easy to sort through volumes of records. Our database has thousands of records and PMAPs loads quickly, gets us what we need quickly and eliminates having to dig through folders upon folders of options. The review tool is also excellent - we can review our database for accuracy and it syncs in outlook making it as simple as sending an email to update your database records for compliance. It works well with work but sometimes our proposals must be in excel and it doesn't perform well with excel and pre-set response fields. Take the training and spend the time to set up your database. We have a small RFP team and PMAPS has helped us in streamlining the process to handle more proposals with the same staff. It's also allowed us to reduce the time pulls on our SMEs with their database. "PMAPS is a great tool with several different ways to do one thing." My favourite thing about PMAPS would be the number of ways you can do one thing; meaning no matter how you work, there is a way that can work for you! I dislike the fact that PMAPS has a bit of a learning curve. The tool has so many great functionalities, but it is hard to grasp at first. Take your time with the implementation! It comes with its learning curves, but use the training time wisely. We are solving the way we report on our proposals/sales we quote on and where we store our market-ready content. "Great Proposal writing software "
PMAPS allows users to fully customize the dashboard and search engine. Administrators can customize permissions for users. This is incredibly helpful for large RFP teams since it targets working styles and personalities. The functionality of this software is limitless. It would be great to see an overhaul to the look of the app. In comparison to other software, PMAPS looks outdated. Highly recommended for managing RFP Teams in any industry. RFP writers have access to the most current content in our database. The connection with other software and the compatibility with Microsoft Word make it the most efficient proposal software. "Using Sales Doc builder to transform self-service proposals for the sales field"
Easy proposal automation for sales reps. Some complexity in backend configuration. Highly recommend the Sales Doc builder tool, as well as the database functionality for organizing content. PMAPs Sales Doc builder has given back 6 hours per sales person per day, which is a significant savings in generating professional proposal documents off the shelf. Our sales team loves being able to access the information through SSO to generate client proposal information at any time. It has made a huge impact on productivity and efficiency for both sales and our internal bid teams. The implementation. ALTHOUGH IT IS TO BE EXPECTED. Depending on your data and prganization any process such as this can be cumbersome and tedious. But it sure is worth it. And the assistance from their teams is better than any I could ever imagine. The multifunctional capabilities it has. Look something up for reference, insert a bit of text, insert a whole sample text. All with ease. It can be a challenge to add all the right references and keep them uniform. If you´re looking for an extensive system to use as a database for documents, PMAPS is probably what you´re looking for. However, keep in mind it can be timeconsuming to get it to work exactly as you want it to. But when your have it set up to your wishes, it works pretty good. Allowing access to certain standards by everyone in a global company. "Great search capabilities and improved efficiency"
I like how easy it is to find what records you're looking for through keyword searches that is similar to Google searching. The filtering is easy by right-clicking on categories to narrow down results as needed, and the attributes are helpful especially because you can customize them. The only thing I don't like that you have to double-click to "Insert" and "Edit" records through a drop-down field - would be improved if those were standalone buttons. I also wish I would receive an email confirmation when an SME marks an assignment complete through the dashboard. Relinking bookmarked annual DDQs and quarterly Sample RFPs saves so much time! The word replacement function really helps out in terms of not having to update the same data multiple times and improve efficiency. My favourite feature is that all documents can be updated at any time by administrators. This database is very interactive. French to English switch can be a pain. The customer service is excellent. Also, listening to requested enhancements from the users is their number one priority. Pretty much any suggested enhancement for the product is made by the developers. The timing of implementation of ideas can be frustrating. You definitely need to be patient with the developers and the timing of the roll-out of enhancements. Definitely make sure that you are willing to be patient and flexible with the developers. They are awesome to work with, but you can't expect everything to be ready right off the bat - it is a process, but the wait is well worth it. Being able to get language quickly and efficiently through the search function. Being able to complete requests more quickly. PMAPS made it much easier to complete a 200+ question, questionnaire by allowing you to filter by subject or even search by exact words. It was nice to be bale to view all related answers as well. Some of the answers are very similar and occasionally it is hard to determine which one to use. Maybe a little more detail on the subject of the answer. Answering hundreds of questions requested by brokers or producers. "Great Product & Great Team"
I have worked with PMAPS for over a decade at various firms. The system really helps to organize RFP content and the team is always willing to help. The team has seen a lot of turnover in recent years. I don't love having my contact change 2 times a year. I would prefer to keep working with the people that I have been working with for years but due to process changes I have been told to reach out to my account manager. I am on my 3rd one in 18 months. Definitely give this product a shot! Content approval and verification which was a major hurtle before PMAPS. PMAPs has a lot of great functions that make automation easy. Searching can pull up a lot of irrelevant results if you aren't careful. Set it up correctly from the begining. Don't try to implement and back fill or clean up bad information. Do it right, use it right and you'll be alright. We house all of our proposal content in one place. It's easy to update. "Not perfect, but really good!" PMAPS is a highly robust tool and the firm is always working to improve it based upon user needs. The learning curve for some of the modules can be challenging but support has been really solid. Solid performance... it's a great tool! Ability to efficiently populate proposals and manage the overall process, while gaining support from internal partners. "PMAPS - It's getting there"
PMAPS make it easy to house client information, pull reports and collect content for proposals and presentations. There are a number of innovative "add ons" (not that you pay extra!) like sales doc builder, pitchbook and assembly center that can really improve the process for a large company that submits a high volume of proposals annually. These tools allow the company's proposal team to collaborate with the sales team in unique ways that allow both parties to take more ownership of projects. If working in the cloud, the "assignments" feature is incredibly helpful as well. Searching in PMAPS can be great and it can be awful, with "noise" words being ignored even when you need them and keyword searches often coming up empty even when the word is directly in the saved question. Quite honestly, their customer service is lacking. It often takes days, if not longer, for our account representative to get back to us and oftentimes even their IT team has difficulty solving our problems. Each new release solves more issues; however, they seem so focused on what their "big" clients needs that the needs of smaller clients get lost along the way. I'm always wishing that we were able to have more of a "voice" in where the software was going. 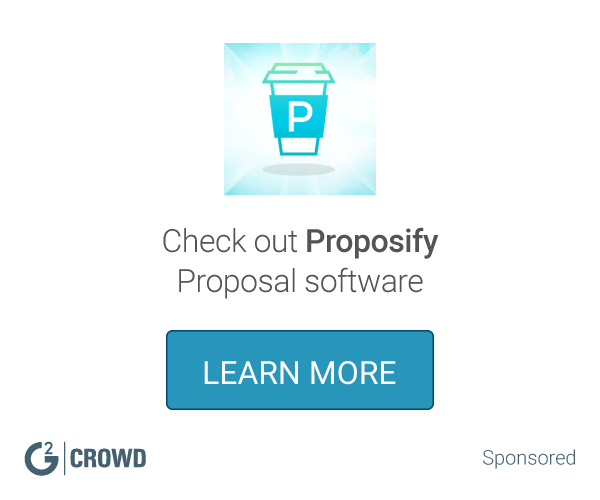 There are a ton of proposal software companies out there. I would recommend setting up a meeting with as many of them as is reasonable. They all have slightly different takes on this type of product, but honestly, they are all VERY similar. In the end, you need to make sure that you are choosing the product that fits the needs of your users - how, where and why are they using this product? Our team of writers was storing language in word documents on a shared drive. It was inefficient for our current writers and nearly impossible to get new writers up to speed in a reasonable timeframe. PMAPS has absolutely changed our process for the better, helping with turnaround times, accuracy and giving us the ability to interact with subject matter experts in a more positive way. Filtering tools are robust and its recogniztion of similar words and phrases in the search method is useful. There needs to be a better way to avoid the clutter from diffrent people on diffrent teams adding material. Primarily using it as an archive. I like the continuous improvement of the system. Certain inconstant ways on how to look up responses. I think that the system is easy to use and with continuous improvement it will get better. Finding answers pertaining to RFPs. "Left in the dark with PMAPs"
I did like the view when I was searching things. The summary feature was nice because I could get a general idea of if what I found is the piece of info I was looking for. Kept me from spending too much time wondering if we had the specific information or if I needed to reach out elsewhere. They were ridiculously unresponsive whenever there was an issue. Over the 2 years I used it, i had to reinstall several times and each time we reached out they said "this is something to be handled by your IT team". The IT team had no background on the product and referred us back to them, so that we could inevitably be told they can't help or would take days to respond. Also, in general, the system was slow. Beware of their customer support. We basically needed something our team could access that would keep our responses for sales consistent. We also liked having reminders for updates. Content is easy to update and proposals are organized. Recurring questionnaires can be update easily with the click of a button! Nothing honestly. We love the product and use it daily. I am very impressed with the caliber of instructors and presenters. Molly, Tammy and Betty know the product well and know how to present the material in a direct and concise way. Attending this conference was well worth my time. I have not used this product long enough for any negative comments. This product will make our processes more efficient. "I’ve been using PMAPS for about 1 year and it is very user friendly and intuitive." The ability to complete an RFP from beginning to end. The clunky ness, the time it takes to save, open/insert records. Easy to use and very flexible. Allows shared content and consistency. Still learning but I like what I see. So far no complaints. Shared content is easy to access and update. Tool allows for consistency. UI is easy to learn and makes it efficient to create RFPs. Search feature requirements are too specific. Outdated content, larger quantity of responses. The PMAPS customer service is very good. Software has so much functionality that the learning curve can be a bit steep. 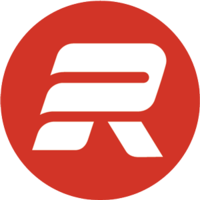 * We monitor all RocketDocs reviews to prevent fraudulent reviews and keep review quality high. We do not post reviews by company employees or direct competitors. Validated reviews require the user to submit a screenshot of the product containing their user ID, in order to verify a user is an actual user of the product. Hi there! Are you looking to implement a solution like RocketDocs?